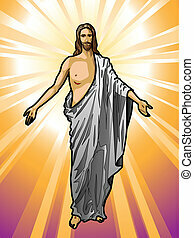 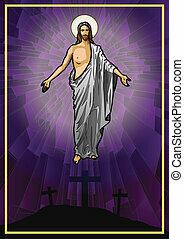 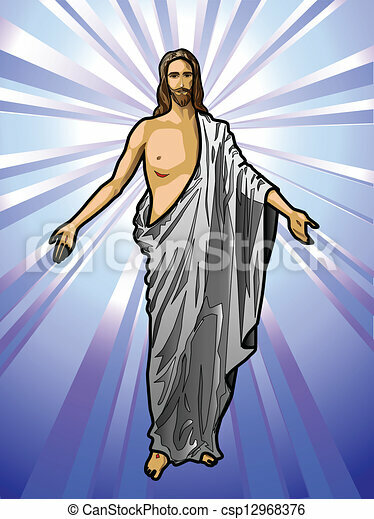 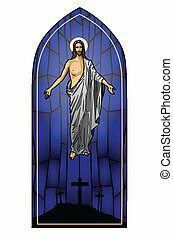 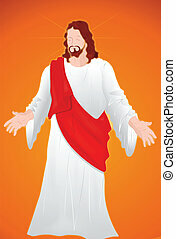 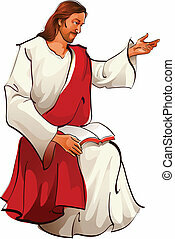 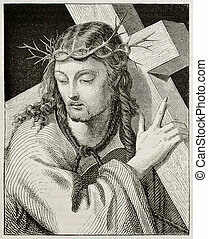 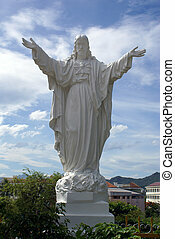 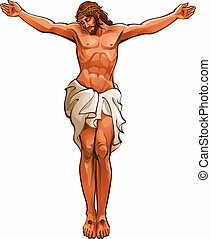 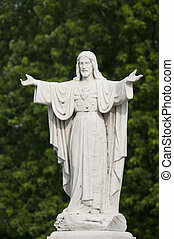 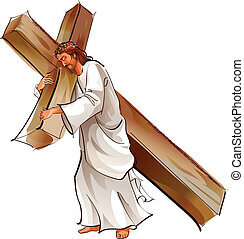 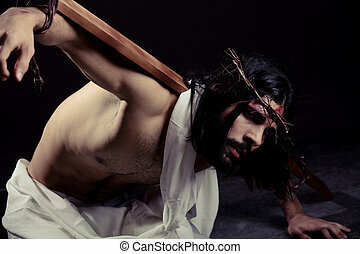 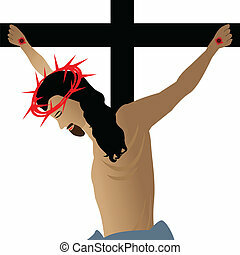 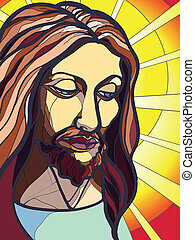 Vector illustration of the resurrected jesus christ. 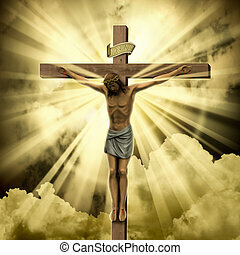 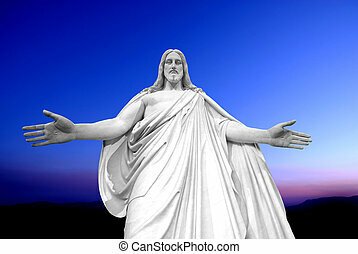 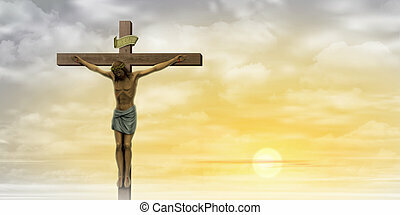 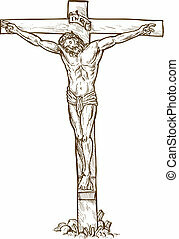 Jesus Christ on the Cross with Clouds and Misty Sunrise, Sunset. 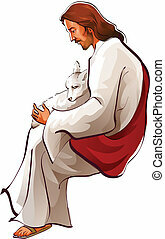 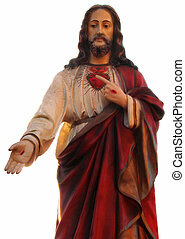 There is Jesus Christ sitting and hugging a sheep. 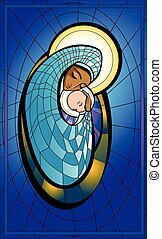 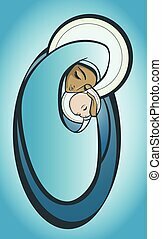 Illustration of Madonna and infant Jesus.